Check Out the Top 10 Best Bahamas Resorts! So, you’re interested in staying a relaxing vacation to the Exuma Cays to relax in one of Bahamas best resorts? Envision yourself with a cold sky juice in hand (a Bahamian specialty made of sweet milk, gin, and coconut juice), laying out on a beach bed with the vibrant and lively Caribbean Sea in front of you. There’s a fresh sea breeze that is whistling the palms above you and your family is by your side. The Bahamas are well-known as an exotic Caribbean adventure located just off the Florida coast. It’s 700+ out islands are a nature lover’s heaven filled with adrenaline-pumping adventure activities and relaxing beach-havens. Swimming with sea turtles, feeding stingrays, horseback riding on the beach — the options are truly limitless. There is only one way to see the entirety of the Bahamas islands as most tours won’t be capable of seeing the best parts of the country. Easily accessible by Bahamas day trip from Fort Lauderdale or Miami via an established air cruise we’ve made available at an affordable price. All of our guides have spent extensive time in the Bahamas, making them leading experts about your vacation destination. Get a birds-eye view of one of the most precious landscapes in the world. On our private plane, every seat is a window seat! For those staying in the Bahamas, our tour is particularly great as it covers the costs of accommodation in some of the most-appetizing locations in the Bahamas. We have compiled a selection of the best hotels in Bahamas, best Bahamas resorts, and a plethora of things to do around the Bahamas that will keep you fulfilled on your Bahamas experience of a lifetime. So, what are the best Bahamas Resorts? Tiamo Resorts, on South Andros Island, is one of the best Bahamas resorts offering some of the best beach activities available. Whether you want to give scuba diving a try or see the Caribbean life by snorkeling, both are available to you. Those are only two experiences to be had at Tiamo. You can also go canoeing and kayaking in the crystal turquoise waters, give sailing a try, or be guided on one of the best nature tours the island has to offer. It’s one of the great Bahamas family resorts in the archipelago! The Best Bahamas Resorts — Tiamo Resort. Cape Santa Maria Beach Resort, located on the Cape at Long Island, is one of the Bahamas best resorts offering unique activities and excursions during your stay. Not staying on Long Island? Don’t fret. We highly recommend seeing it as a part of your Bahamas getaway. Luckily, we service flights for a Long Island tour you will never forget. Our tour will show you parts of the island that regular tourists never get to see. We will take you through some of the island’s history, highlights, and beautiful natural attractions. It’s a top-notch tour certainly worth doing if you’re staying elsewhere in the islands. The Best Bahamas Resorts — Cape Santa Maria Resort. Pineapple Fields Resorts is one of the best Bahamas resorts because of its central location, yet, being able to be distinctively seclusive. One of our favorite parts about staying at Pineapple Fields Resorts, located on the 100-mile long island of Eleuthera, is the fact that it is located on the Atlantic Ocean, rather than the Caribbean, which makes it one of the prime spots of the Bahamas to give surfing a try! Even if you’re a beginner, you’re bound to find some tasty waves that suit you at Surfer’s Beach or James Cistern Beach. The Best Bahamas Resorts — Pineapple Fields Resort. The Cove Eleuthera Resorts of the island of Eleuthera is one of the most intimate resorts in the Bahamas. This 57-room resort feels as small as some of the best Exuma hotels, but packs a bang with its world-class location. If you’re looking for a quieter, less-busy stay with can’t-miss views and the intimacy of a true Bahamian experience, The Cove Eleuthera Resorts is right for you. Located on the tranquil shores of an unspoiled enclave and surrounded by swaying palms and white sand beach, this place makes one of the best Bahamas resorts in the country. Not staying on Eleuthera? We also service tours to this magnificent island! Check out all that an air tour of Eleuthera has to offer! The Best Bahamas Resorts in Eleuthera. Among some smaller, less excitable Exuma Bahamas hotels sits the truly Grand Isle Resorts on the ivory crescent beach of Emerald Bay on Great Exuma. This is one of the top Bahamas family resorts in the Cays. Golf-lovers rejoice! The Grand Isle Resorts boasts access to one of the Bahamas nicest golf courses, Emerald Bay Golf Course. Though, if you’re not into golf, don’t worry. There are many other experiences to be had in this blue-hued sea-to-sky paradise! Check out our guide to the Exumas for all the best things to do in the Exumas during your island getaway. The Best Bahamas Resorts — Grand Isle Resort. 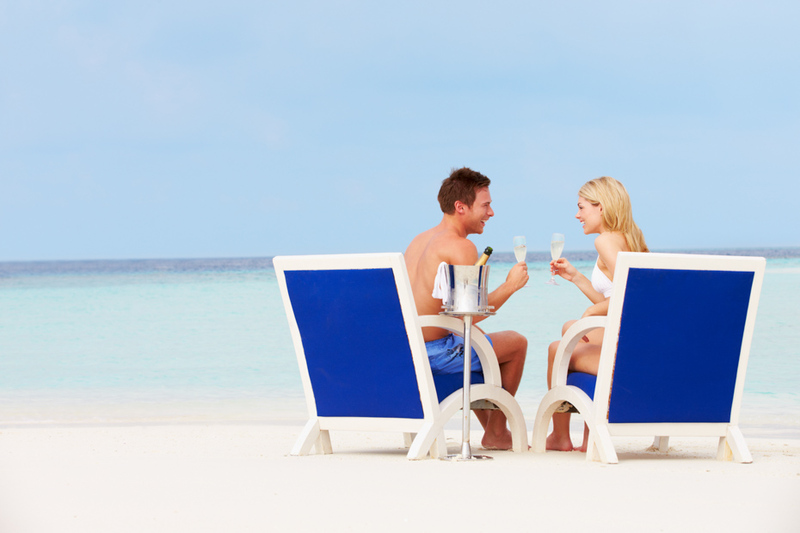 Distanced from the best hotels in Bahamas is the best Bahamas resorts for couples in the Club Med Resorts! Located in one of the most romantic and exotic destinations in all of the Bahamas, this is the perfect honeymoon destination or luxury destination wedding resort! There are plenty of beach activities to keep you busy during your stay that the Exuma Bahamas hotels can not offer. We have an excellent guide to San Salvador to get your trip started! Boasting one of the widest range of activities of all best Bahamas Resorts, Valentines Residences Resort and Marina is sure to provide all resort stays with the utmost adventure. Valentines Resort is particularly loved by fishing enthusiasts because of its prime location near Eleuthera and Harbour Island. All sites are natural ecosystems and offer great opportunities for excellent bonefishing. In addition, the area provides world-class reef fishing, bottom fishing in the mangrove thickets and small bays throughout the area, and deep sea fishing for the largest game-fish. Even the best hotels in Bahamas can’t offer that! We have a great all-inclusive look at this quaint island that is sure to get your trip started off right, take a look! The Best Bahamas Resorts — Valentines Resort. Treasure Cay Resort, located on Great Abaco Island of the Bahamas, boasts a truly relaxed, unspoiled & uncrowded Bahamas Out island paradise. While it’s true Treasure Cay Beach Marina & Golf Resort is one of the greatest places on earth to “do nothing”, there are a number of activities from which to choose; should you decide to take a break from taking your break. Between yoga, aerobics, and aviation classes, there is also excellent watersports on offer which exceeds the value of Treasure Cay Resort. Looking for the best things to do in Bahamas during your Treasure Cay stay? A truly relaxed, unspoiled & uncrowded Bahamas Out Island Paradise. The Best Bahamas Resorts — Treasure Cay Resort. Green Turtle Club Resort and Marina, located on the beautifully placed Green Turtle Cay, is one of the best Bahamas resorts for a reason. It offers some of the best in-resort events and entertainment which is different week-to-week, as well as claiming one of the best diving areas in the entire Bahamas! You’ll realize not even the best Exuma Bahamas hotels can compete with a resort with so much to do like the Green Turtle Club Resort! This Green Turtle Cay travel guide should get you started on your trip in this paradise! The Best Bahamas Resorts — Green Turtle Club Resort. Last, but certainly not least is one of the best Bahamas resorts for its luxury and exclusivity. The Four Seasons Resort: The Ocean Club Bahamas, located in the prime location of One Ocean Drive on Paradise Island, offers a ribbon of white sand beaches on the island’s north shore — known as one of the most beautiful natural beaches in the world. Whether you’re traveling as a couple, looking for a great Bahamas family resorts, or coming solo — the Four Seasons resort is a world-class facility worthy of your vacation. Don’t forget we offer a world-class air tour from Nassau that will show you the best view of the Bahamas and take you to the world-famous Pig Beach Bahamas to take a swim with the lovable Exuma pigs. Here’s a great guide to get you started on Paradise Island! What are you waiting for? Book your stay at the best Bahamas resorts on offer! The Best Bahamas Resorts — Ocean Club Resort. There are a plethora of activities to do whilst relaxing on the beach at any of these resorts as well as some of the Caribbean’s most spectacular day-trips because of its accessibility and options afforded to the islands being so close to Florida. Want the most-inclusive way to sight-see from the Best Bahamas Resorts? One of the newest and most excitable way to see the Bahamas is by air a part of Bahamas Air Tours. We offer tours leaving from Nassau as well as the Fort Lauderdale airport in Florida. There are many reasons an air tour will completely alter your experience and the way you see the Bahamas. Among the benefits is the time you save, the intimacy the tour provides, and the world-class views of the Bahamas Cays. Don’t believe us? See for yourself! (link to photo gallery). Book your Bahamas Air Tours package for any size group, individuals included!